To me, this is the dark under belly of finding a homeschool method that appeals to you. As you delve deeper into that methodology, you are going to find plenty of people willing to tell you the right way to do things, and those same people will be equally quick to inform you that if you deviate you are no longer following the method. Here are three reasons this Pharisaic attitude is destructive to your homeschool. Your preferred method might not be your child’s. 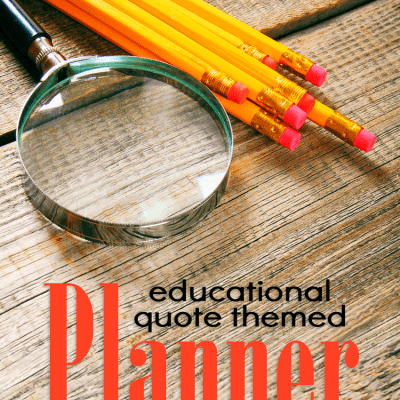 One of the things to keep in mind when taking quizzes or trying to figure out how to set up your homeschool is that quizzes and methodology books are testing and informing you about how you prefer to teach and/or learn. However, you are not homeschooling yourself, but your child. Just because you have high marks across the board for classical education, doesn’t mean your sweet, little five-year-old boy will. Don’t become so entrenched in a methodology that you lose sight of why you actually homeschool: to teach your child in the best way for them to comprehend the material. If you force a method on your child, then you are doing nothing more than what the public schools do by forcing children into one form of education for all. Not to mention that each of your children will probably all be different from one another as well. Your methodology should not prevent you from doing what’s best for your child. Probably one of the saddest things I see in various groups online is when someone is struggling with a specific aspect of a methodology for their child, someone suggests a different approach or curriculum, and then that person is quickly shut down as not following the method. In case you didn’t know this already, you are not called to follow a method; you are called to educate your child. If a classical approach to teaching phonics is not working, then try something else, and don’t let anyone make you feel less than because you are not following the method. So many times, when these conversations occur, all I can think of are the words of Jesus when talking about the Pharisees, “They tie up heavy burdens, hard to bear, and lay them on people’s shoulders, but they themselves are not willing to move them with their finger.” It’s easy for these people to say, “No, you have to be finished with all of your work before lunch to be a true Charlotte Mason homeschooler,” but they don’t help you with real solutions or encouragement when you say there is not way your ADD child could sit for that long without a long physically active break in between subjects. Do not become dependent on methodology as a recipe for success. I think the lure of choosing a homeschool method is that it provides a sense of comfort for the homeschool parent. If they follow the plan, then they have assurance that their child will be well-educated. The funny thing is parents and/or tutors have been educating children for thousands of years without the writings of Charlotte Mason, a Classical Conversations group, or John Holt’s unschooling books. What those parents did depend upon was a keen understanding of their children and what was necessary for survival in their society. All too often when we look to a method for assurance we dampen those parental voices of what our children need and what is truly necessary. We have more faith in method than in ourselves, and, thus, trade one master, public school, for another, methodology. 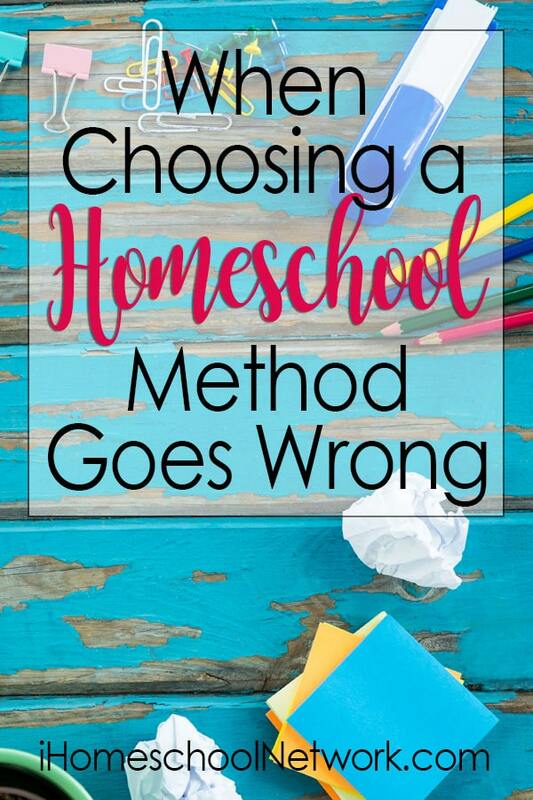 It may sound like I am against following any kind of method in your homeschool, but nothing could be further from the truth! I consider myself a Charlotte Mason home educator, but I’ve also come to realize that many within that realm would not. I don’t ever read Plutarch to my children, nature study is sporadic at best, and my oldest is using a textbook type program for science this year because it worked better for her goals. I tried multiple times to be a strict Charlotte Mason homeschooler and every time, my children were miserable, so I took a page from Charlotte’s book and recognized my children as the born persons they are. I followed their natural bent to some degree while still using my Charlotte Mason principles to educate them. I think it would behoove all of us to take a look at what happens in our homeschool and make sure we’re not allowing ideology, and those who push a strict adherence to ideology, to steer us in the wrong direction. Teach the children you have and not the method you desire. Chelli Guthrie is a homeschool mom to three children and wife to "Preacher Man." When she's not education the kids or blogging, you can generally find her with her nose in a book, cooking up something yummy in the kitchen, or, if she's really lucky, you can't find her at all because she's traveling with friends and family. Her first book, Revitalize: Breathing Life and Encouragement Into Your Homeschool, was published in May 2017.